Entries into this Contest will be accepted from Sunday March 10, 2019 until 10AM on Sunday March 17, 2019. We will select one Winner who will be announced on our Giveaway Entry Page. Good Luck to All! PLEASE REVIEW THESE OFFICIAL RULES BEFORE ENTERING THE CONTEST. VOID WHERE PROHIBITED BY LAW. NO PURCHASE OR PAYMENT NECESSARY TO ENTER OR TO WIN. HOW TO ENTER: Contest entries can be submitted starting on Monday, of each week that contest is posted on Facebook and ending on the following Sunday and stated on the Contest website (the "Contest Period"). To enter, go to www.coinweek.com/contest. (the "Contest Site"), and follow the instructions provided at the Contest Site to enter the Contest. All online entries must be received during the Contest Period as determined by Administrator. Entries can be made once per week. An additional entry will be made each time a referral is made. Mass entries or reproductions, or late, lost, stolen, illegible, misdirected, damaged, inaccurate, incomplete entries are void. Any attempt at entry except as stated above is void. All entries become the property of the Sponsors and will not be acknowledged or returned. By entering the Contest, entrants agree to comply with these Official Rules including all eligibility requirements. Sponsors reserve the right to verify eligibility of all entrants. Entries submitted by entrants who do not meet the eligibility requirements (including all requirements with respect to age and/or delivery status) are void. Sponsors, Administrator and their agents are not responsible for lost, late, or misdirected entries, for technical, hardware or software failures of any kind, for lost or unavailable network connections, or for failed, incomplete, garbled or delayed computer transmissions or any human error which may occur in the receipt or processing of the entries. Proof of entering information at the Contest Site does not constitute proof of delivery or receipt. Sponsors reserve the right to modify the scheduling of the Contest without prior notification. Use of computer programs, macro, programmed, robotic, automatic and other similar means to enter the Contest is prohibited and may result in the disqualification of entries and/or the entrant. In the event of a dispute regarding the identity of the person submitting an entry, the entry will be deemed to be submitted by the person in whose name the e-mail account is registered on the date the entry is submitted. All entries become the sole property of the Sponsors and will not be acknowledged or returned. WINNER SELECTION AND NOTIFICATION: Winners (each, a "Potential Winner") will be selected in a random drawing by Administrator or its designee, the judge of the Contest, whose decisions are final and binding on all matters relating to the Contest. Odds of winning depend on the number of eligible entries received during the Contest Period. Winner drawing will happen before the new coin listing each Monday on the contest site during the contest period. The Potential Winners will be notified by email using the email address provided in the Contest entry ("Prize Notification") and must respond by email within seven (30) calendar days of the date of the Prize Notification (the "Deadline"), with Potential Winner's full name and a mailing address ("Mailing Information"), where Administrator can send a declaration and/or affidavit of eligibility and release of claims (collectively, the "Contest Documents") and his/her prize (if warranted). The mailing address must be a street address and must be located in the United States or Canada. If any Potential Winner does not respond to the Prize Notification by the Deadline, such Potential Winner will be disqualified and the prize will be used in another weeks contest. Once Administrator receives Potential Winner's Mailing Information, prize will be mail with signature confirmation and the obligation to deliver prize of Sponsor and Administrator will be deemed complete. Sponsors and Administrator are not responsible for the failure for any reason whatsoever of a Potential Winner to receive their Prize Notification. Return of any Prize, the inability of Administrator to contact a Potential Winner, the failure of a Potential Winner to contact Administrator in a timely manner, The inability, for any reason, to send a prize to the address submitted by winner, the inability of a Potential Winner to accept or receive the prize for any reason, and/or the non-acceptance by a Potential Winner of any prize for any reason will result in disqualification of such Potential Winner. A Potential Winner who receives a prize is known as a "Winner". The winner will receive the coin and/or items pictured and discribed on Facebook for the current contest/giveaway and/or also posted on the website for that week’s drawing . No other prize substitutions allowed. Prize is non-transferable. Total approximate retail value ("ARV") of the prize is current market price as determined by the published price from the respective source where CoinWeek obtained the coin for the giveaway. 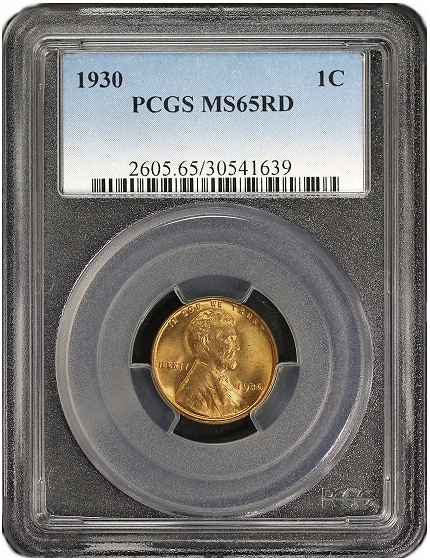 Winners may request the ARV of any item won and CoinWeek will provide the information as asked. PRIZE CONDITIONS: All prize values may be stated in United States dollars. If a stated prize is unavailable, Sponsors and Administrator have the right to substitute one or more items of equal or greater value, in their sole and absolute discretion. No prize is exchangeable, transferable, or redeemable for cash. Winner is not entitled to any surplus between the actual retail value of his/her prize and it’s stated ARV. The Prizes are provided "AS IS." Sponsors and Administrator do not make, and expressly disclaim, any warranty, whether express, implied, or statutory (including without limitation, any implied warranty of merchantability or fitness for a particular purpose). Acceptance, participation in and/or use of the prizes are at the Winners' sole risk and Sponsors and Administrator are not responsible for any damages whatsoever, including special, indirect, or consequential damages, arising out of or in connection with the use and/or misuse of any of the prizes. Sponsors and Administrator reserve the right to verify eligibility of all Winners. Prizes will be awarded by U.S. Mail and/or other shipping method, in Sponsors' sole discretion, using the information provided in the Contest entry and notification response. Delivery of any prize to any location outside of the United States is not guaranteed and no replacement will be made if price is not delivered, does not pass customs, or is stolen in transit. If any Winner is unable to participate in or accept a prize or any portion of a prize for any reason, Sponsors and Administrator shall have no further obligation to such Winner. Any and all activities related to each prize are at the Winner's own risk and subject to whatever restrictions are imposed by the entities that govern such activities. TAXES AND COSTS RELATED TO THE PRIZES: Winners will be solely responsible for complying with any and all applicable federal, state, provincial, local, or other statutes, regulations, and other laws and for bearing any personal income, VAT, withholding taxes, customs duties, or other taxes, fees, insurance, surcharges or other costs relating to any prize. REPRESENTATIONS: By entering the Contest, each entrant represents and warrants that: (a) the entrant meets all eligibility requirements of the Contest; (b) in entering and participating in the Contest, the entrant has complied with and will comply in all respects with these Official Rules and all applicable statutes, regulations and other laws; and (c) the information provided in the entrant's entry, including without limitation all contact information, is true, accurate and complete in all respects. RELEASE; LIMITATION ON LIABILITY: By participating in this Contest and/or by accepting a prize, participants agree to release and hold harmless the Sponsors and Administrator and their respective parent companies, affiliates and subsidiaries, together with their respective employees, directors, officers, attorneys and agents, including, without limitation, judging or administration of the Contest (collectively, the "Released Parties"), from any and all claims, demands, damages, losses, liabilities, costs or expenses caused by, arising out of, in connection with, or related to the Contest, their participation in the Contest and/or their participation in any prize-related activities (including, without limitation, any property loss, damage, personal injury or death caused to any person(s), and/or the awarding, receipt and/or use or misuse of any prize or any item purchased with any prize, or participation in any prize-related activities). WITHOUT LIMITING THE GENERALITY OF THE FOREGOING, THE RELEASED PARTIES SHALL NOT BE LIABLE FOR ANY LOST PROFITS OR ANY SPECIAL, INCIDENTAL, INDIRECT, PUNITIVE, EXEMPLARY OR CONSEQUENTIAL DAMAGES, HOWSOEVER CAUSED, AND WHETHER ARISING IN STATUTE, TORT, CONTRACT OR OTHER LEGAL THEORY. PERSONAL INFORMATION AND GRANT OF RIGHTS: By participating in the Contest and/or by accepting a prize, participants agree to be contacted by Sponsors and/or Administrator via e-mail in connection with the Contest. By accepting a prize, each Winner consents to the use of his/her name and/or likeness (voice, biographical information, city and state of residence, statements, photograph, and recording) for advertising and promotional purposes (including, but not limited to, use on Sponsors' web sites and/or Facebook pages or other social media accounts) without additional compensation, except where prohibited by law. CHANGES AND EARLY TERMINATION: If for any reason the Contest is not capable of running as planned, including infection due to computer virus, bugs, tampering, unauthorized intervention, fraud, technical failure, human error or any other causes beyond the control of Sponsors and/or Administrator that corrupt or affect the administration, security, fairness, integrity, or proper conduct of the Contest, Sponsors reserve the right to disqualify any individual they reasonably believe has tampered with the entry process, operation of the Contest or Contest Site, and to cancel, terminate, modify, or suspend the Contest without notice and to select the winners from all eligible entries received prior to the cancellation or termination. Sponsors assume no responsibility for any error, omission, interruption, deletion, defect or delay in operation or transmission, communications line failure, problems or technical malfunctions of any computer online systems, servers, or providers, computer equipment, software, failure of any e-mail or entry to be received by Sponsors or Administrator on account of human error, technical problems or traffic congestion on the Internet or at any web site, theft or destruction, or unauthorized access to, or tampering with or hacking of website, any combination thereof, or otherwise, including any injury or damage to any entrant's or any other person's computer related to or resulting from participation in the Contest. TAMPERING: Sponsors reserve the right to disqualify any entrant, in their sole discretion, if they determine such entrant is undermining or attempting to undermine the legitimate operation of the Contest in any way, including by cheating, hacking, deception, tampering with the entry process or the operation of the Contest, violating these Official Rules, engaging in unfair practices, or abusing, threatening or harassing any other entrant or any representatives of Sponsors and/or Administrator. ANY ATTEMPT BY AN ENTRANT OR ANY OTHER INDIVIDUAL TO DELIBERATELY ALTER OR DAMAGE ANY WEBSITE OR UNDERMINE THE LEGITIMATE OPERATIONS OF THE CONTEST MAY BE A VIOLATION OF CRIMINAL AND CIVIL LAWS AND SHOULD SUCH AN ATTEMPT BE MADE, SPONSORS AND ADMINISTRATOR RESERVE THE RIGHT TO SEEK DAMAGES FROM ANY SUCH PERSON TO THE FULLEST EXTENT PERMITTED BY LAW. DISPUTES: Each entrant agrees that: (a) any and all disputes, claims, and causes of action arising out of or in connection with this Contest, or any prizes awarded, shall be resolved individually, without resort to any form of class action, and any judicial proceeding shall take place in a federal or state court Longwood Florida; (b) any and all claims, judgments, and awards shall be limited to actual out-of-pocket costs incurred, including costs associated with entering this Contest, but in no event attorney’s fees; and (c) under no circumstances will entrant be permitted to obtain awards for, and entrant hereby waives all rights to claim, punitive, incidental, and consequential damages, and any other damages, and any and all rights to have damages multiplied or otherwise increased. All issues and questions concerning the construction, validity, interpretation and enforceability of these Official Rules, or the rights and obligations of entrants, the Sponsors and the Administrator in connection with this Contest shall be governed by, and construed in accordance with the laws of the State of Florida, without giving effect to any choice of law or conflict of law rules or provisions (whether of the State of Florida or any other jurisdiction), that would cause the application of the laws of any jurisdiction other than those of the State of Florida. MISCELLANEOUS: If any part of these Official Rules is held by a court of competent jurisdiction to be invalid, illegal or otherwise unenforceable, such part will be modified to the minimum extent necessary to make it enforceable while preserving to the maximum extent possible the original intent of Sponsors, and the remaining parts of these Official Rules will remain in full force and effect. Nothing contained herein or in any of the Contest-related materials should be construed as an endorsement by Sponsors of any third party, product, or service. For a list of Winners or a copy of the Official Rules, please send a self-addressed stamped envelope to: COINWeek “Winner’s List/Official Rules. Lists will be sent once all Winners have been verified and prizes have been awarded. ADMINISTRATOR: COINWeek LLC. Marketing Department, PO Box 4203, Ormond Beach, Florida 32176 ("Administrator").